The "Stypendium im. 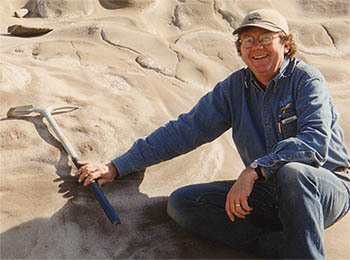 J. Grzybowskiego", will be awarded for a research topic in any aspect of Micropalaeontology (this excludes palynology), with preference for foraminiferal research. Applicants must have achieved at least a masters degree, but not yet earned the title of "Dr. hab.". This means the Grzybowski stipend is primarily earmarked for research that will result in a Ph.D. or habilitation dissertation. The funds are to be used for a specified purpose, not to supplement salary. Examples of bona fide expenses are costs associated with field work, photography, laboratory supplies, or page charges for publishing a paper in an international journal. The stipend may also be used to supplement a SOCRATES grant or other travel grant to carry out project work abroad, or to present results at an international conference. The GF's assistance must be acknowledged in a thesis or research article, and one reprint of the published article and/or a photocopy of the Ph.D. or Habilitation thesis must be submitted to the Grzybowski Library. The Geroch Stipend honours the memory of Prof. Dr. Stanislaw Geroch, Professor of Micropaleontology at the Jagiellonian University, who sadly passed away in June, 1995. The stipend is earmarked to support student research in the field of Carpathian Micropalaeontology - the favourite topic Prof. Geroch's own research. The "Stypendium im. S. Gerocha", will be awarded for a research topic in any aspect of Micropalaeontology (this excludes palynology), with preference for Carpathian foraminifera. Applicants must be full-time students in their fourth year, and make an application (in English) on the form provided. Applicants must have an approved research topic for their M.Sc. thesis. The funds are to be used for a specified purpose, not to supplement salary. Examples of bona fide expenses are costs associated with field work, photography, laboratory supplies. Receipts for expenses must be kept and submitted with a brief report when the thesis is completed. The GF's assistance must be acknowledged in a thesis, and one copy of the thesis and any resulting publications must be submitted to the Grzybowski Library. Applications are available via email. Awarded to a Ph.D. student who is carrying out a thesis project in the field of Stratigraphic Micropaleontology. The grant is dedicated to the memory of Brian J. O’Neill, who for many years was a loyal participant in IWAF meetings and a supporter of the Grzybowski Foundation. The grant supports original scientific research in any subject of Micropaleontology, with preference to projects dealing with foraminifera. The grant is awarded competitively to a Ph.D. student from an eastern European University or research institution who is carrying out a Ph.D. project in the field of Stratigraphic Micropaleontology, preferably for work in the Carpathian area. The amount of the grant is USD $1,000, plus an additional travel allowance to attend the IWAF-9 meeting in Zaragoza Spain or the next MIKRO meeting. The student should fill in the application form, have his or her supervisor fill in the back of the form, and then obtain approval from the Head of Department. The completed form should be sent via email. The application deadline is December 31. The application will be reviewed by the officers of the Grzybowski Foundation. The decision on the grant will be announced in the spring.